The VFW Auxiliary will hold its 6th Annual Celebrating America's Freedom Event on Saturday, Sept. 8, 2018 at 11 a.m. at Gettysburg National Military Park Eternal Light Peace Memorial. This year marked the 80th anniversary of the dedication of the Eternal Light Peace Memorial. 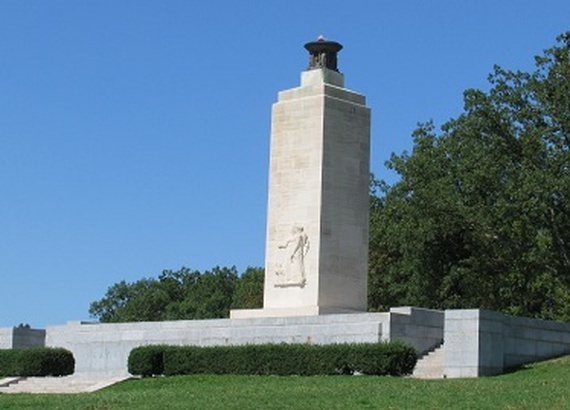 President Franklin D. Roosevelt dedicated the Eternal Light Peace Memorial in 1938 on the 75th anniversary of the Battle of Gettysburg as a tribute to peace and honoring soldiers and veterans who served and continue to serve to promote peace in the World. The event holds special significance for Bringman. VFW Auxiliary members and families, VFW members and families, military personnel and families, and the public are welcome to attend. For information about the event, visit https://vfwauxiliary.org/celebrating-americas-freedom/.